RedKnight are delighted to announce it has supported South Wales based Thermetrix Ltd with a successful proposal to Horizon 202's SME Instrument Phase 1 programme, winning the company €50k to further develop its innovative med-tech product called PODIUMTM. Dr Peter Plassmann, CEO of Thermetrix Ltd said of the success, RedKnight was instrumental in securing this grant. The company fully understood our technology and the advantages it offers. They contributed extensive background research and insider know-how on the European Commission's expectations and selection process, took us by the hand and drove the application process to its successful completion. Today, there are 60m adults suffering from diabetes in Europe and 3.8m in UK (expected to rise to 50m by 2025). Diabetes has a high mortality rate caused mainly by complications (75,000 deaths per annum, of which 24,000 are premature). One life-threatening complication of diabetes is the development of a DFU. Studies reveal a 12% - 255 lifetime risk of developing DFU for diabetics, meaning over 9m people in Europe might suffer from a DFU in their lifetime. A serious consequence of DFU treatment amounting to 290,000 - 450,000 amputations a year in Europe, at a cost of €2 - 2.5bn. Critically, a timely response from physicians, facilitated by PODIUMTM, could significantly reduce DFU - related amputations. The technology will provide a considerable Quality of Life (QoL) improvement for users and enable substantial savings to healthcare providers, even if only a very small percentage adopt PODIUMTM. Here at RedKnight we are now accustomed to celebrate every new month with a success, and this November is no different, as another success has been addedd on the RedKnight scoreboard. This time we are delighted to have supported South Wales based Compound Semiconductor Centre (CSC) Ltd with a successful application to the Eureka-Eurostars programme, scooping a grant of €632,812 for the consortium, which comprises Manchester based Integrated Compound Semiconductors (ICS) Ltd and V-tech Lasers & Sensors, based in Eindhoven. This latest success brings RedKnight's total funding secured since September 2015 to over £4.7m.The project, titled Monolithically Integrated Detector Solutions for Next Generation Comms Applications (MISCA), aims to lever semiconductor material integration to deliver disruptive, scalable component platforms, addressing demands of next generation telecommunications, data communications and optical infrastructure. The consortium will use intelligent monolithic integration of compound semiconductor materials platforms to deliver high-speed detector solutions with co-optimised RF and optical performance. With Global IP traffic set to increase 3-fold over the next 5 years, having already increased 127-fold from 2005, an enormous market for fibre optic communications components has been created. The EU has built a significant proportion of GDP on digital activities, however the data centre infrastructure required to deliver such services must embrace step changes in data rate improvements to keep pace with demand. This requires reliable, mass produced, high quality optical transceivers to achieve this aim. In this regard, MISCA will provide a step change in the degree of materials integration used in the volume manufacturing process for PIN (Positive, Intrinsic, Negative) diode and Avalanche Photo-diode (APD) device-based receivers - a major acceleration in the commercialisation of the innovative technology. This integration approach will deliver increased chip-scale specification to unlock packaging simplification and reduced operating power requirements, which has added benefits for environmentally friendly manufacturing. Another month, another success for RedKnight’s scoreboard. This time we are celebrating a successful proposal that RedKnight provided bid-writing and proposal development support for, which has secured Bond Digital Health Ltd, a Cardiff based small to medium-sized enterprise (SME), a grant worth £68,583 from Innovate UK’s Precision Medicine competition. 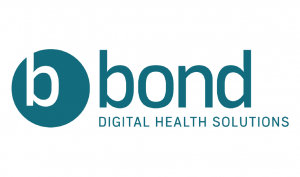 The funding will allow Bond to continue developing its wearable technology product, called Metis, which aims to provide a digital solution to the "clinical whitespace" void that currently exists between patients suffering with Chronic Obstructive Pulmonary Disease (COPD) and their doctors. This void can be a few days or as long as 6 months, during which the clinician has to rely on anecdotal evidence and at best, inaccurate paper diaries. These are often referred to by clinicians as "car park diaries" as that is where the information is often entered, moments before the consultation. Thanks to this grant, Bond will be able to further develop the product which will equip medical practitioners with independent, accurate analysis of patient data providing valuable, comprehensive insights and evidence-based care.